former president of both the Great Lakes Athletic Trainers’ Association (GLATA) and the Michigan Athletic Trainers’ Society (MATS). Ray was named to the Educational Advisory Board of the Gatorade Sport Science Institute in 1993 and the MATS Hall of Fame in 1999. He was inducted into the NATA Hall of Fame in 2006 and received the 2004 Most Distinguished Athletic Trainer Award and the 2001 Sayers Miller Outstanding Educator Award from the NATA.Ray received his EdD in educational leadership, as well as a master’s degree in physical education, from Western Michigan University.Jeff Konin, PhD, ATC, PT, FACSM, FNATA, is associate professor and vice chair of the department of orthopaedics and sports medicine at the University of South Florida (USF). At USF, he also serves as the executive director of the Sports Medicine & Athletic Related Trauma (SMART) Institute, a community outreach program with a mission of promoting safety in sports. Konin is a founder and partner of the Rehberg Konin Group, which provides scientific investigation, research, and litigation support services for incidents involving sports and physical activity. 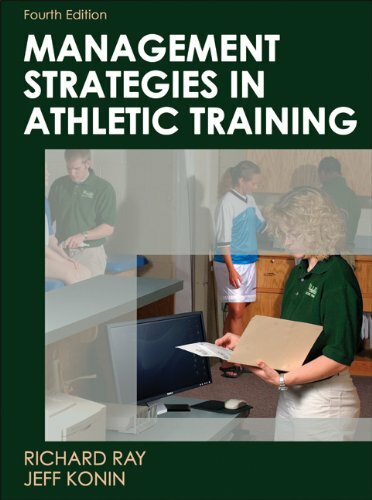 He is the author of textbooks including Clinical Athletic Training, Special Tests for Orthopedic Examination, Documentation for Athletic Training, and Reimbursement for Athletic Training.Konin is a fellow of both the National Athletic Trainers’ Association (NATA) and the American College of Sports Medicine (ACSM). He is a recipient of the NATA Service Award (2008), the NATA Continuing Education Excellence Award (2008), and the Southeast Athletic Trainers’ Association Education/Administration Athletic Trainer of the Year Award (2010). Konin received his PhD in physical therapy from Nova Southeastern University, a master of physical therapy from the University of Delaware, master of education from the University of Virginia, and a bachelor of science from Eastern Connecticut State University.